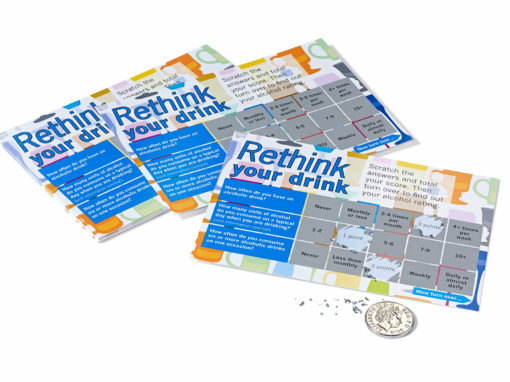 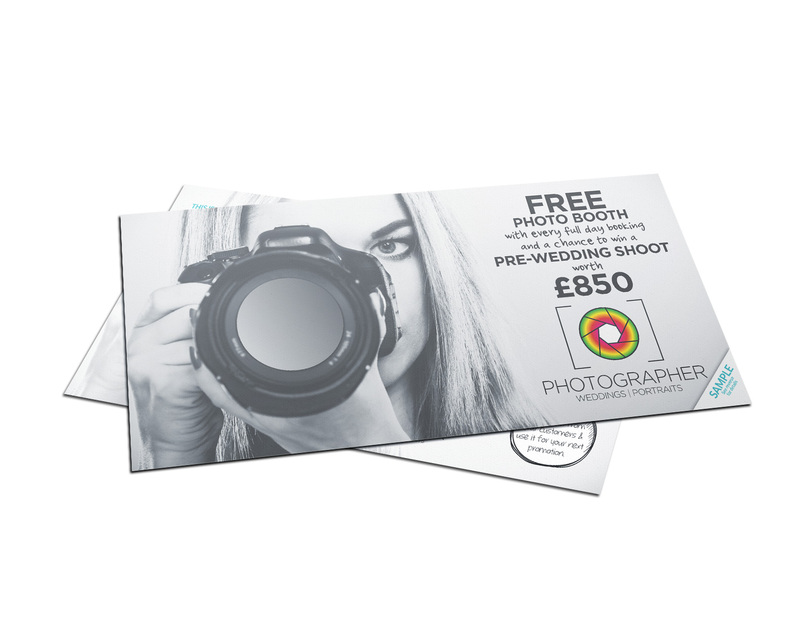 A DL scratch card gives you lots of flexibility, slip them into a catalogue or brochure or use them to attract visitors to your stand at a trade show. 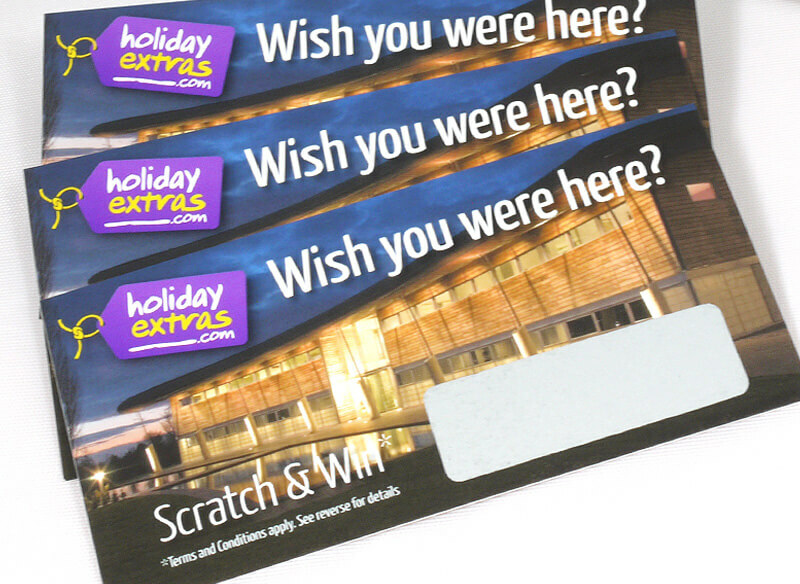 Receive FREE, DL scratch card SAMPLES in the post, next working day! 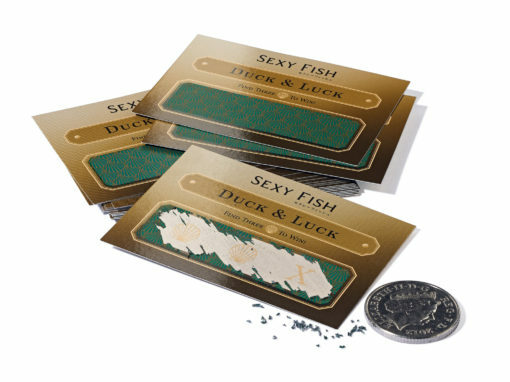 Prices you see below are for a single order with one variation ONLY. 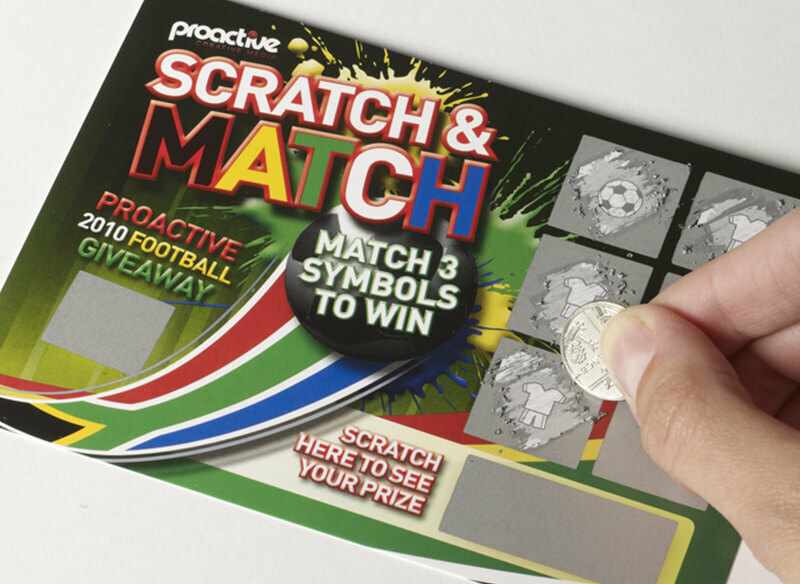 When ordering our DL scratch cards each artwork variation is treated as a separate order and printed separately due to our print supplier’s requirements. 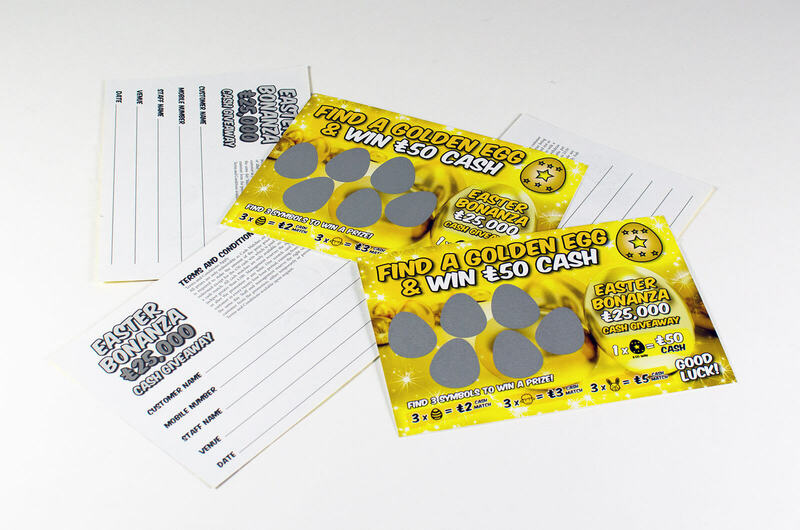 We are able to quote for any number of prize variations. 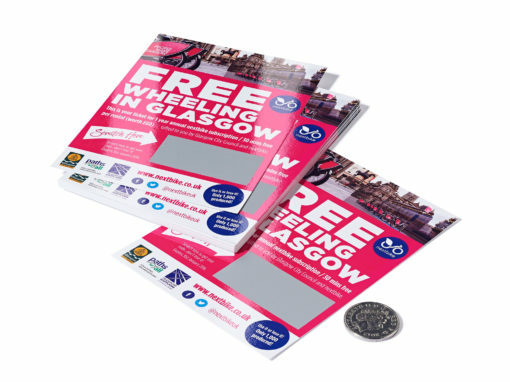 Need a custom size, irregular shape or printing on top of the latex? 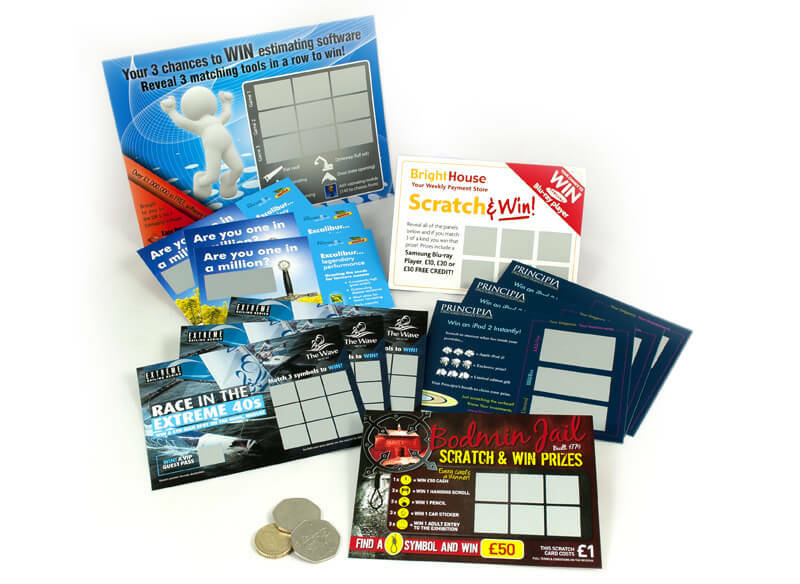 Our standard range scratch cards are not the only options we offer. 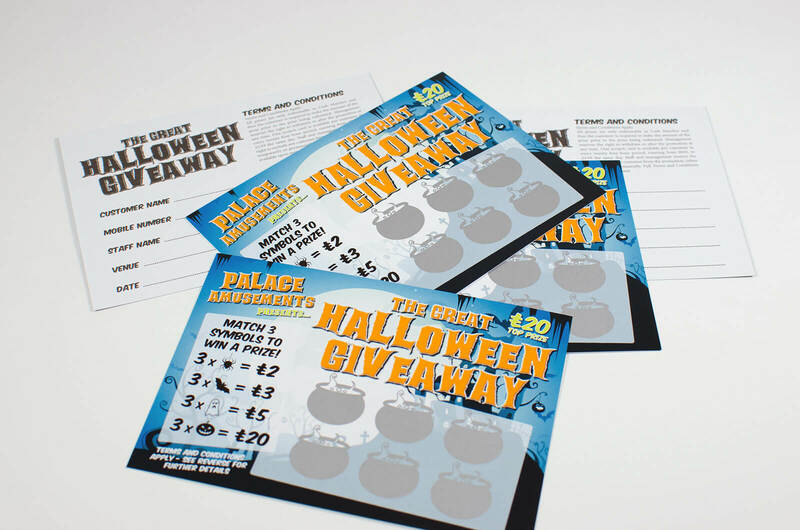 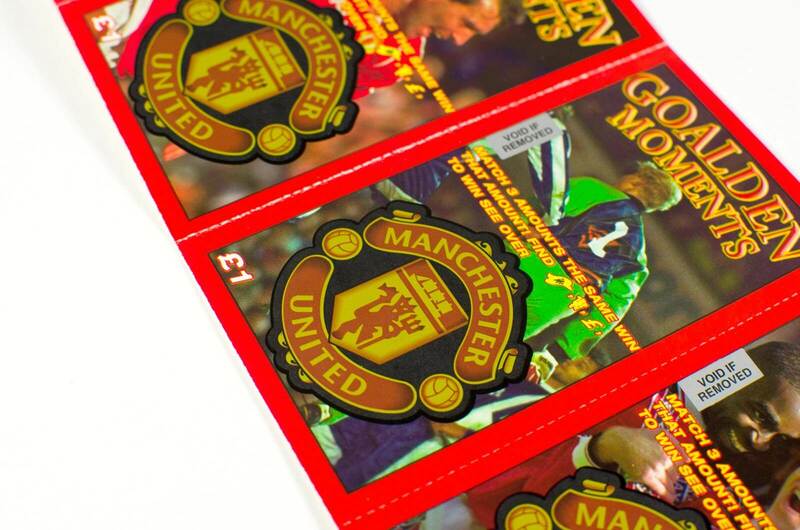 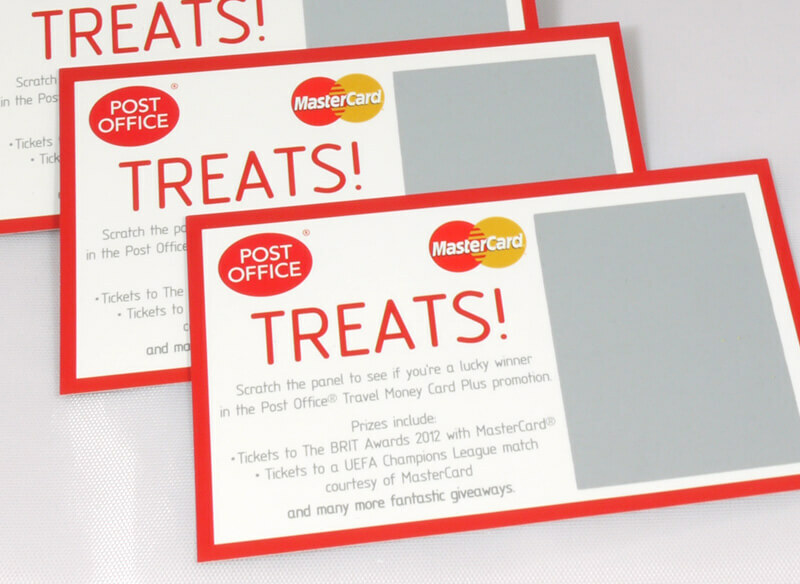 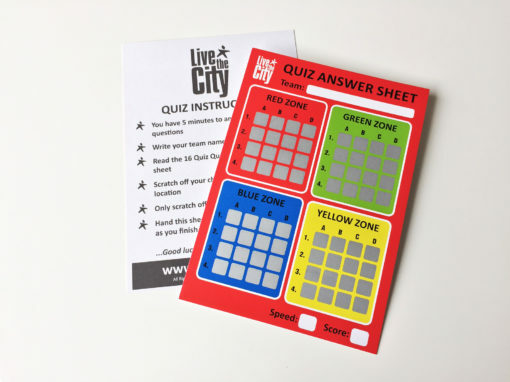 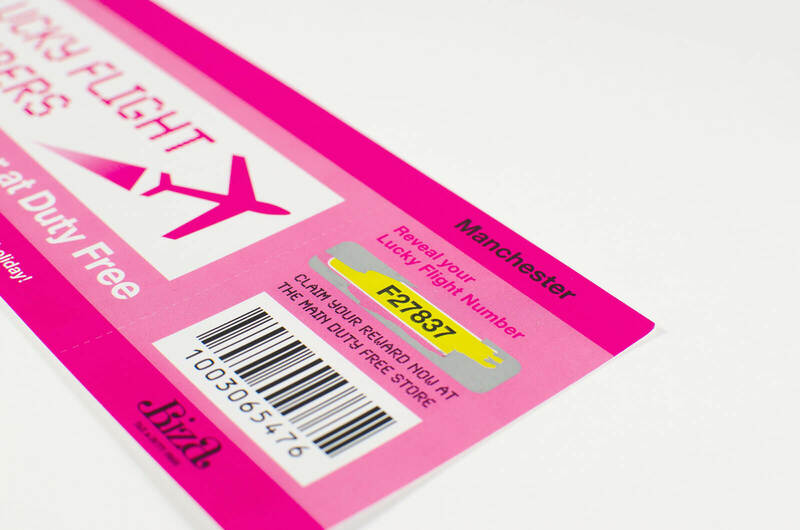 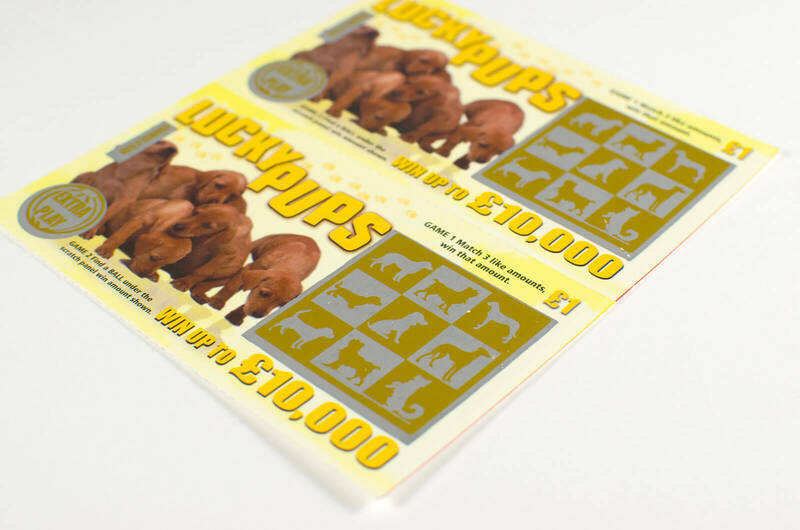 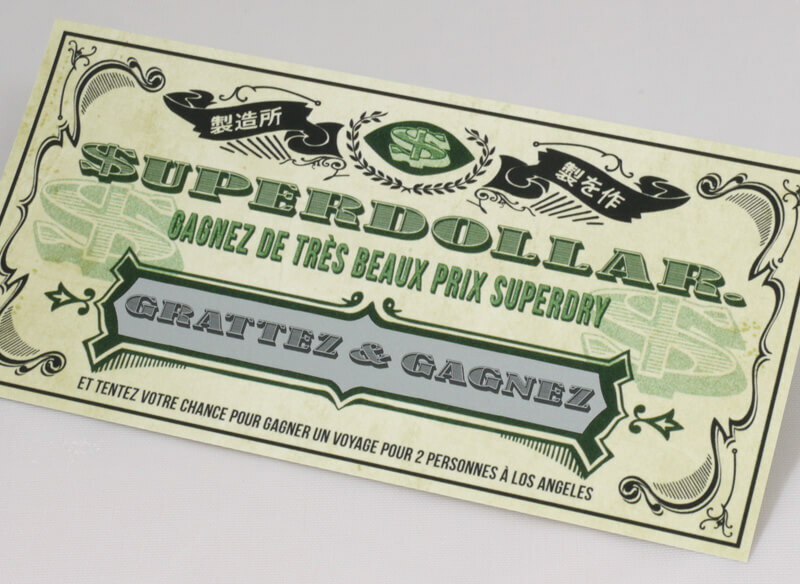 The standard range is the most cost-effective way of printing scratch cards, but there are a huge variety of bespoke options to choose from if you've got the budget. 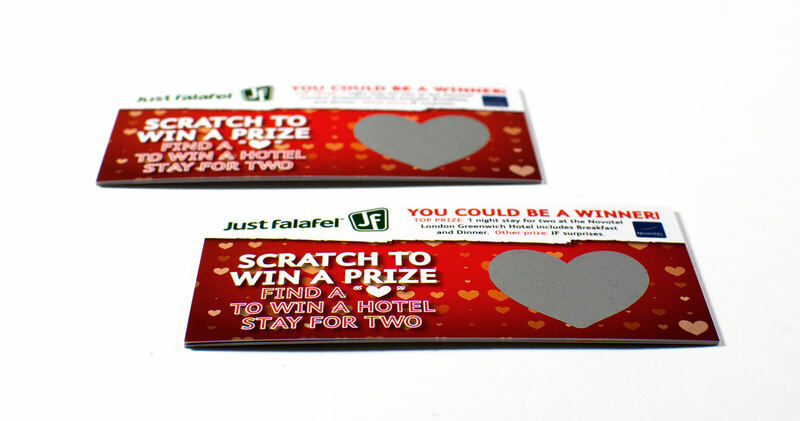 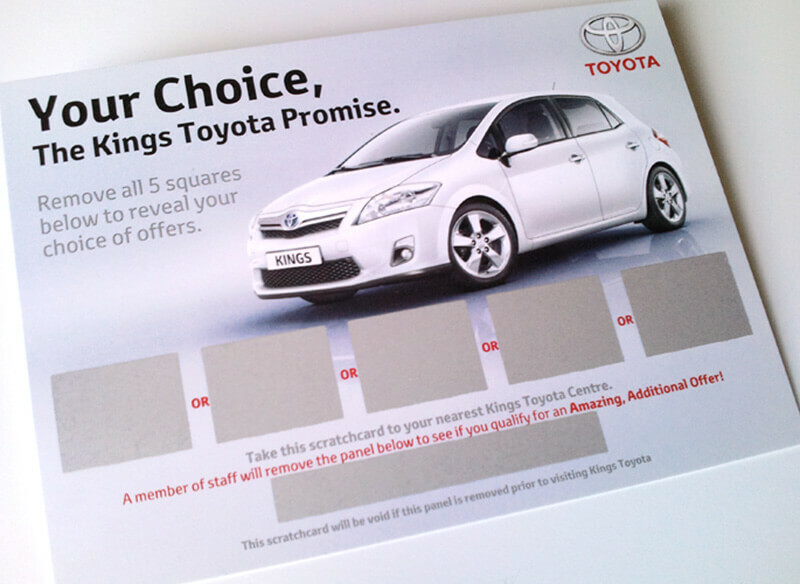 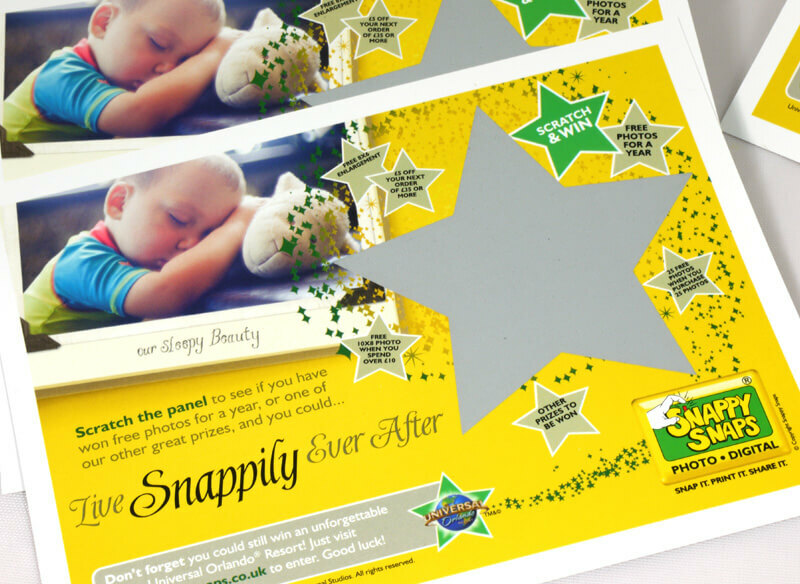 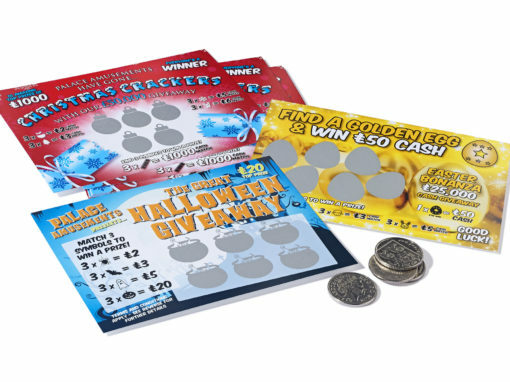 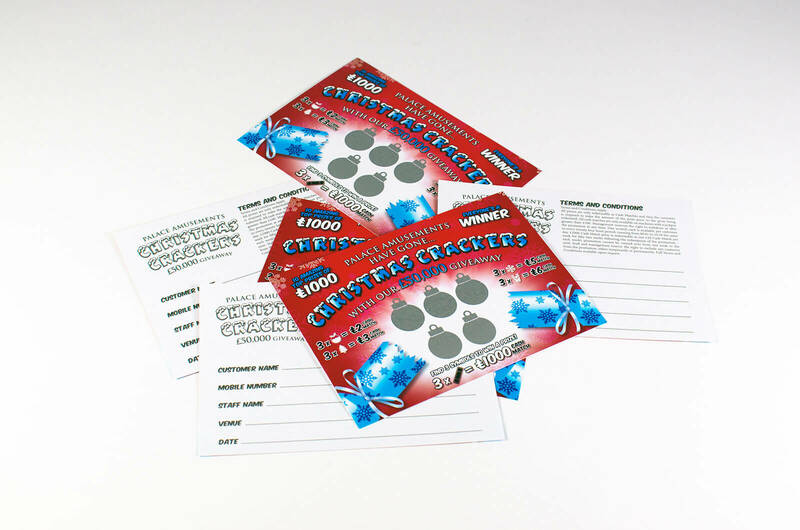 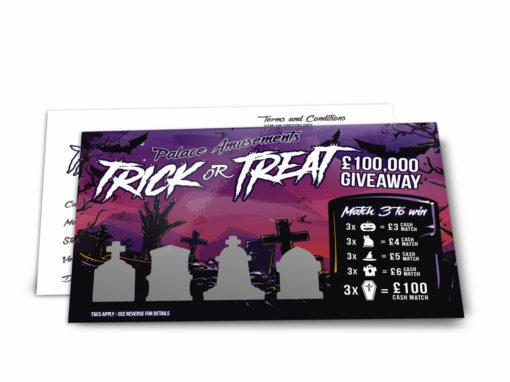 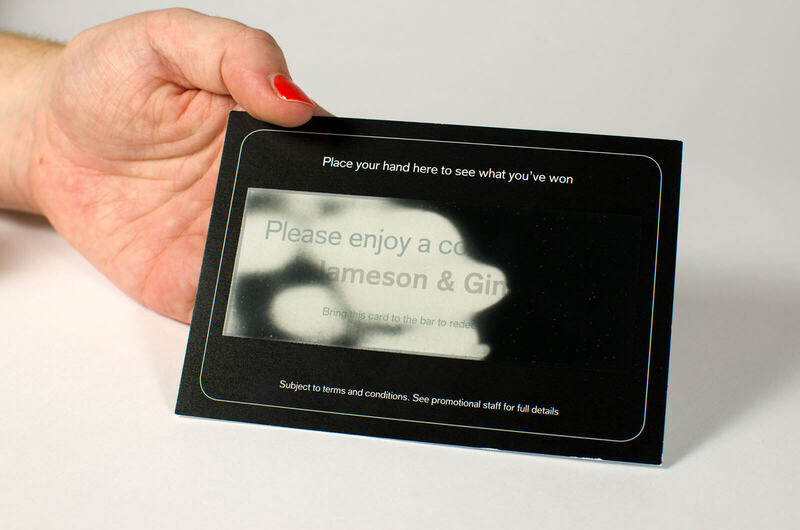 If you need something different then you should consider looking at our bespoke scratch card options. 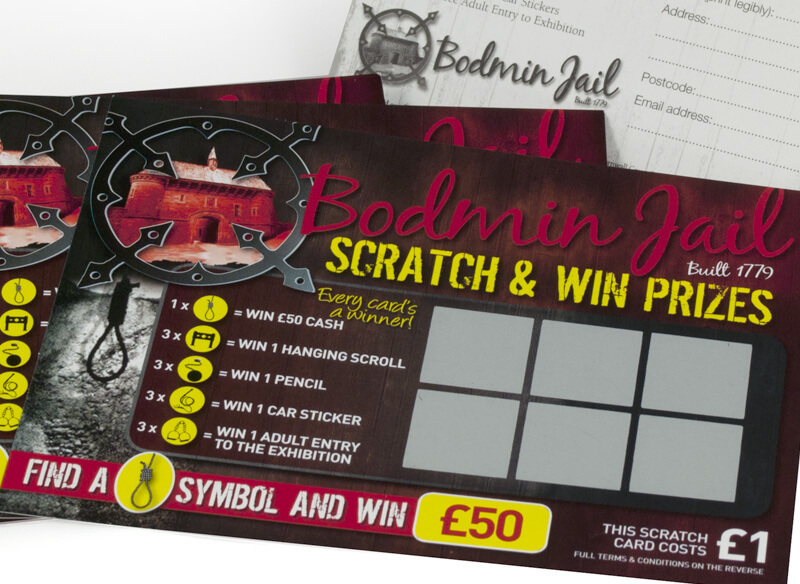 Contact using the enquiry form or call 0800 415 5334. 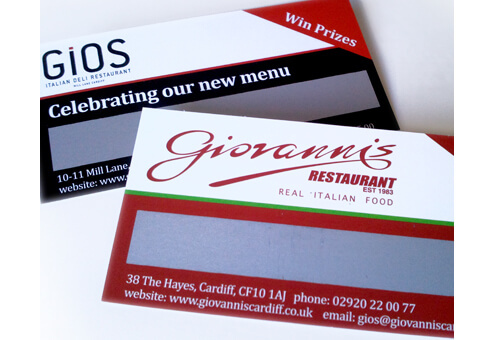 We'll be happy to answer any questions you have and help you achieve what you want. 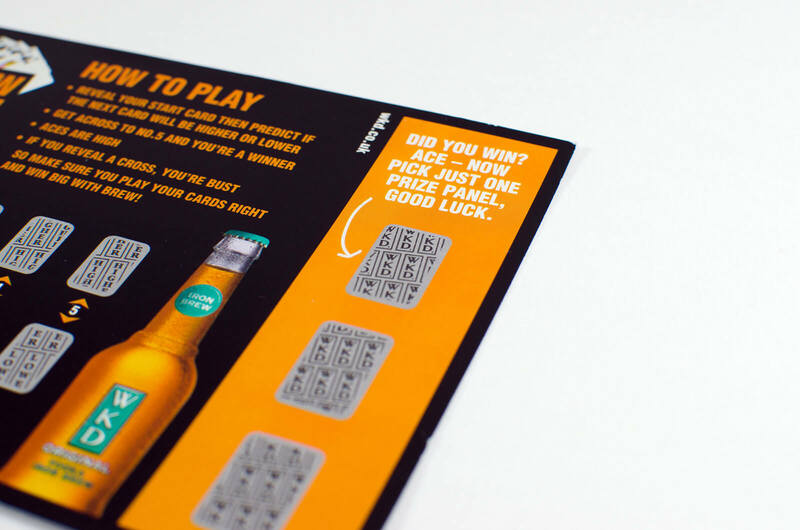 Almost anything is possible! 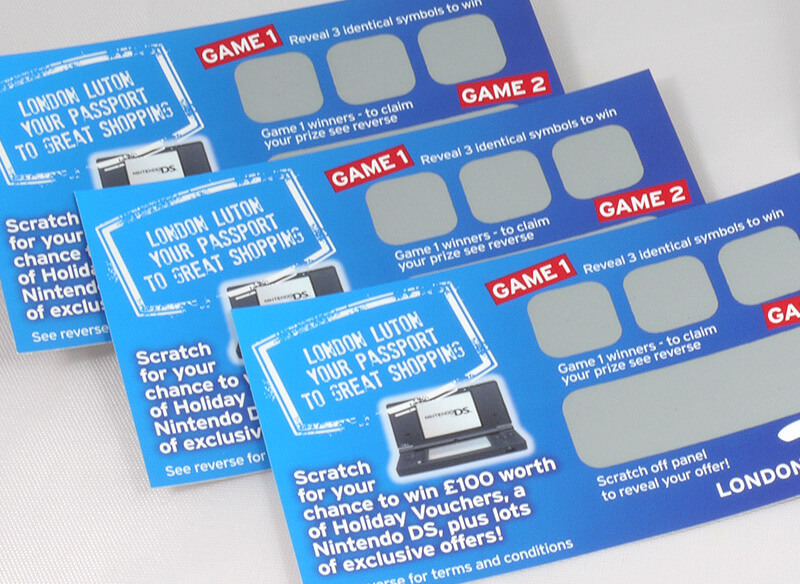 Ready to order your DL scratch card?